I am exhausted. Worse, I’m now 2/3rds of the way through the Hanson’s program, and I still have no idea if I am going to pull off this ambitious escapade. With the Marathon Rookie program, I felt myself growing in confidence each week as mileages and milestones were met. Of course, in the end the program did not deliver for me, and I have to remind myself continually that the Hanson’s program is far more demanding in scope and depth. But my failures on this program, at least in my mind, have been many–heck, just sticking to the program has been next to impossible, and I seem to be tweaking it on a constant basis and scrambling to make weekly mileage totals every week. After all, running for me is recreational. I also have a 40-hour-a-week job, 3 kids and a life to live. I have to fit running around my life, not the other way round. The cracks started to appear with the speed runs in week 6, as I mentioned in a previous blog. Every week from then on the treadmill defeated me, and I ended up not being able to maintain the speed or falling short on the required milage for that night, leading to me having to make it up later in the week. It was only when I moved the action outdoors that I felt I was starting to make some headway, and last week’s strength run (six 1-mile intervals with 400 m recoveries) led to a stunning 1:30:21 for a 10 mile run, with an average pace of 9:20. But for every step forward, there has been a corresponding step back. One Wednesday at work about a month ago, I started to feel like I was coming down with something: I was sneezing and beginning to run a low-grade fever. I abandoned all notions of running that night and went to bed early, then called in sick the following day and slept until noon. By Friday, I was starting to feel like I was getting back to normal, and I managed to salvage something, though I still came up a good 10 miles short for the week. But the realization that I had literally run myself into the ground, and could possibly do it again, has haunted me ever since. The following 3 weeks I stayed very close to the program, but with a few exceptions, I feel like my running has been mostly very slow and laborious–the first long 16-miler last Saturday, for example, seemed like it would never end. I’ve also been battling cold, snowy weather, which hasn’t helped either my performance or my outlook. This week, I scaled the program down in an attempt to taper for my first competitive race of the year: the Syracuse 1/2 Marathon. 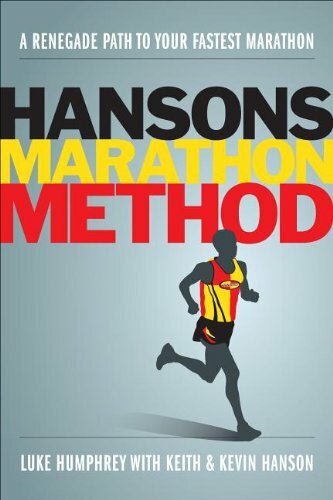 It is a race that I am simultaneously dreading and anticipating as the first true test of the Hanson’s program. If I can duplicate last week’s strength workout, I should be fine and may even beat my PR for the distance. But I fear it will be more like last week’s 16-mile run. This entry was posted in The Flat-Footed Fox and tagged half marathon, Hanson's Marathon Training, long-distance running, Marathon Rookie, marathon training, Syracuse 1/2 marathon. Bookmark the permalink.